Currently owned and occupied by the The St. Mary's County Historical Society, Tudor Hall is located in Leonardtown, not far from the Circuit Courthouse. 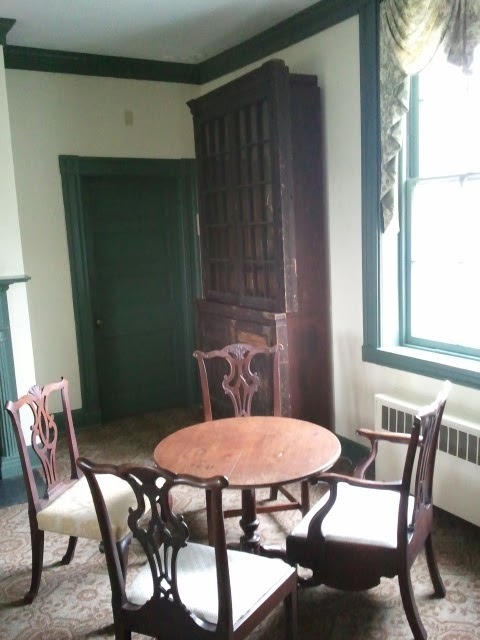 The history of the mansion begins in 1742 when Abraham Barnes purchased the land and built a small house on the property. The current dwelling was probably built sometime after 1817 when the property was sold to Phillip Key of the famous Key family. 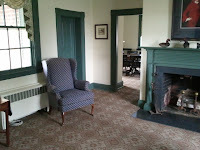 The property was purchased by the historical society in 1984. I cannot say that there is anything terribly interesting about the place. It appears to be well preserved and/or restored and feels like what a 19th century mansion probably would feel like (with modern conveniences such as indoor lighting and air conditioning). It is free to visit. 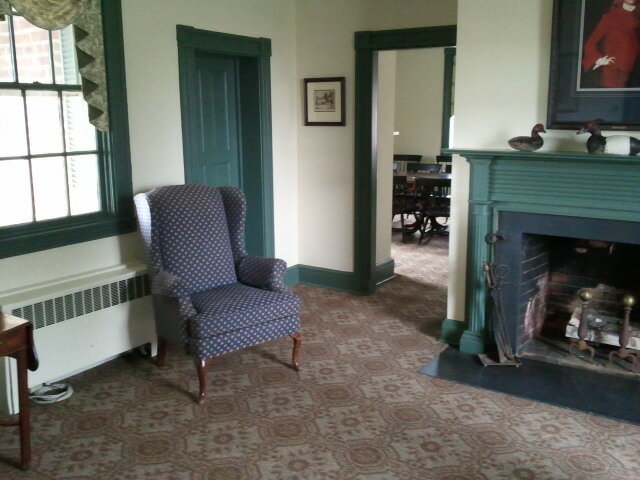 The staff of the historical society are helpful and might even tell you a few ghost stories about the mansion. 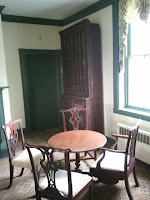 If you are looking to do research on Maryland's early history or if you just happen to be in the area and are looking to see something interesting, Tudor Hall is worth a visit. It is open Wednesday through Friday: 9:00am - 4.00pm.